Love the Anderson Cobra - short scale ,T- style, with 2 humbuckers and a 5 way. Add the sunken Floyd without the locking nut but with locking tuners and you've got just a killer instrument. 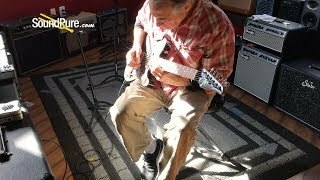 An internationally known guitarist who has sold millions of records orded two like this so we did too !!! 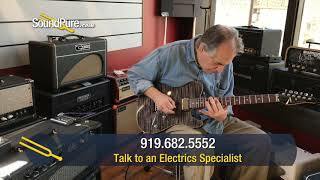 In this video, Sound Pure electric guitar specialist Eddie Berman plays an Anderson Cobra through a Mesa/Boogie Triple Crown 50 amplifier.